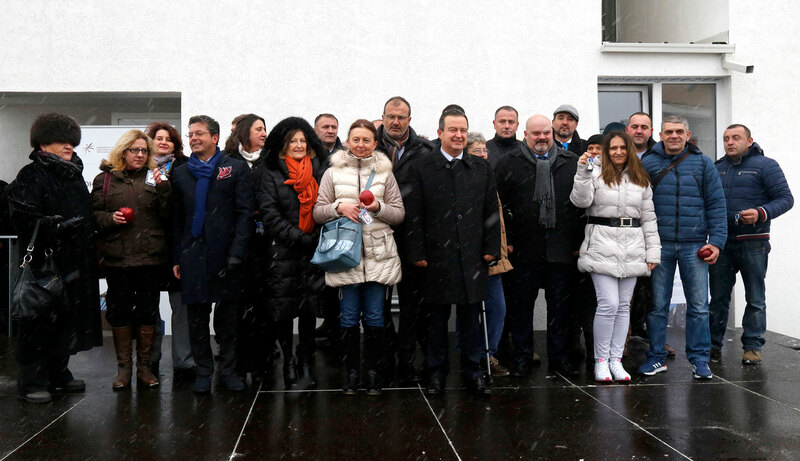 Zrenjanin, 25 January 2019 – A number of key RHP stakeholders celebrated today the handing over of keys to 11 RHP beneficiary families, displaced persons from Croatia and Bosnia and Herzegovina, now permanently integrated in Serbia. The RHP-funded building, with a total cost of about EUR 300 000, is part of the SRB4 sub-project, which will altogether provide a new home to over 1 400 families in Serbia. Sem Fabrizi, Head of EU Delegation to Serbia, highlighted that, out of the total value of the RHP of EUR 285 million, the European Union has provided EUR 232 million, or 80%. 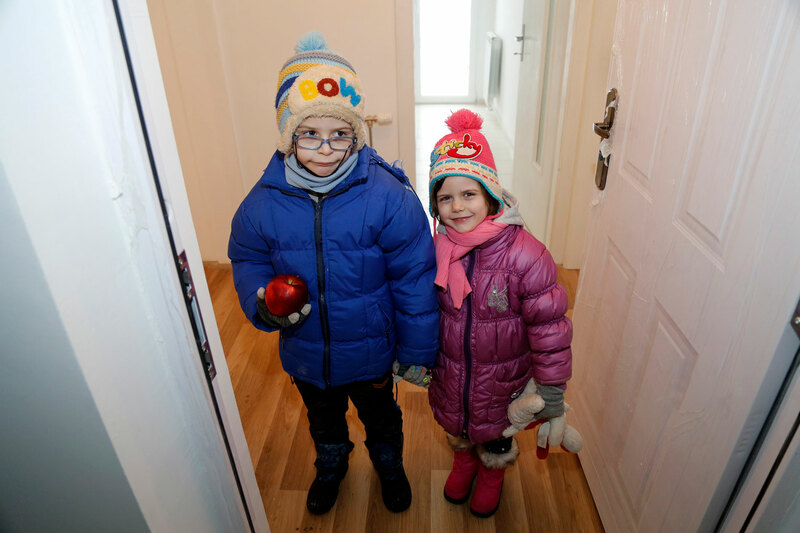 Andrea Orizio, Head of the OSCE Mission to Serbia, said that he was pleased to witness the real value of the Regional Housing Programme – new apartments for people who have not had a home for years. The Mayor of Zrenjanin Cedomir Janjic reminded that the RHP is not just about providing housing: the municipality also puts special effort in creating employment opportunities for its citizens, including the RHP beneficiaries.